Since day 1 of Eid mubarak me and hubby has been making sweet treats even though I had minor injuries on my left hand but now its all recovered Alhamdulillah. 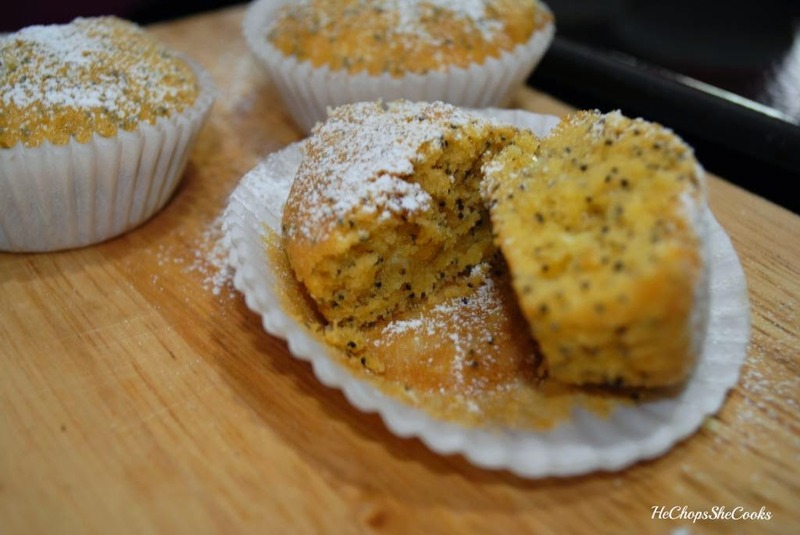 During the Ramadhan month I bought this Poppy Seed Kiwi muffin mix in one of my favourite bake supplies in Sri gombak. Well, yes we also bought cake mix sometimes..its easy for me to get a fast treats for us at times hehe..Anyway you guys can actually made from scratch or like we said muffin mix.. Since I made it using muffin mix. So its less hassle just throw the mix in the mixing bowl and add all the extra wet ingredients and just whisk them by hand! 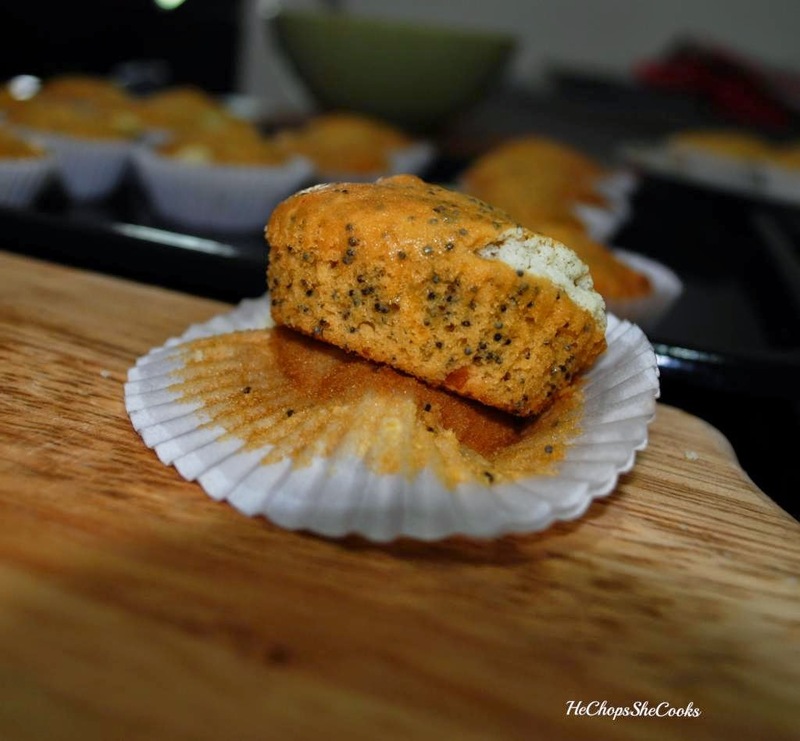 oh yes the cheese part was our own idea..it wasn't part of the recipe we just did a little experiment and yes it turn out perfectly moist, soft texture and tangy flavors at the same time! and don't actually need to beat them. Mix all the ingredients together except cheese. Whisk it thoroughly without leaving any lumps! See its that easy...we accidentally had throw the packing but we will show you again in a different update ya! 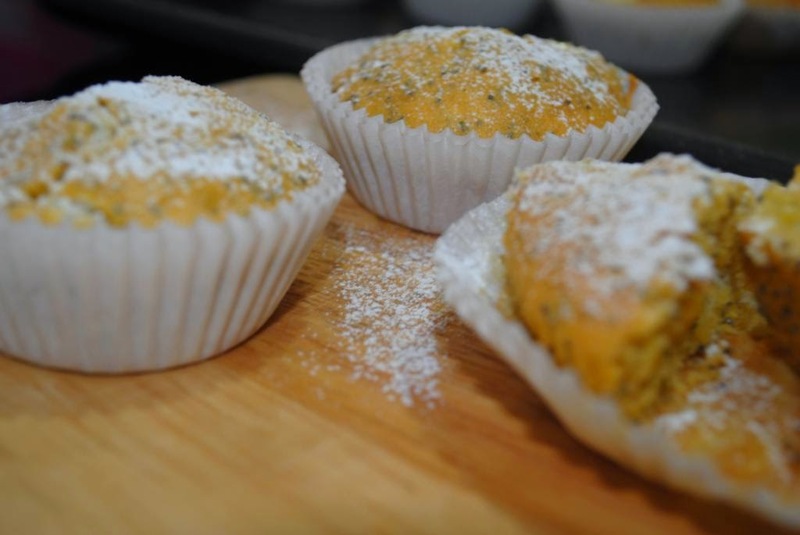 Its super moist and got a very soft texture within..the flavors are awesome too. Yeah its really easy peasy! wow! easy recipe and looks so tempting!! !